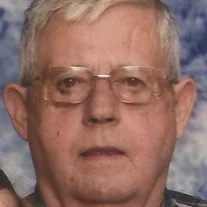 Larry J. Clark “Papa”, passed away on November 5, 2018 at the age of 72. He was preceded in death by his parents, Emmitt and Betsy Songer and grandson, Jesse Tyler Clark. Larry was a lifelong resident of Northwest Georgia. He owned and operated Clark Heating & Air. He also owned and operated Clark Mechanical and did contract work for Roper until retirement. Larry is survived by his loving companion of 23 years, Tammy Lee; sons, Mark (Vicki) Clark, Jeff (Janet) Clark, Gregg Clark, Billy Wayne Cronnan, Marty Lee and Christy (Dewayne) Schubert; grandchildren, Lacie, Lexie, TJ, Nathan, Brandon (Chelsey), Thomas, Gage and Kinsley; great-grandchildren, Kamdyn and AJ; sisters, Betty Gilreath, Linda Rocha and Faye Russell; brother, Ted Clark; and several nieces and nephews. The funeral service will be held at 2 p.m. on Saturday, Nov. 10 in the funeral home chapel. Interment will follow in Coulter Cemetery. The family will receive friends from 4-8 p.m. on Friday and prior to the service on Saturday.